I have bad tenants what can I do? A member of every branch is experienced in landlord/ tenant liaison, so don’t panic there’s very little that we won’t be able to assist with. Contact the branch to discuss your options, and we will endeavour to help. The rent is paid via bank transfer on a monthly basis. A remittance with full breakdown of all rent received and any deductions is sent out which is accepted by HMRC for annual tax returns making your life much easier. Whilst we can never guarantee that you will get perfect tenants, our extensive referencing process does mean that every precaution is taken. We carry out full credit checks, we obtain current landlord and employer references and we even visit the current property if required. We do offer rent guarantee insurance through an external company, you can opt to take out 6 or 12 months at a time. It would depend on the tenant entering the property as to whether it was granted and how much it will cost, but we are happy to offer this service. Do you offer a tenant find only service? Yes, if you would prefer to self-manage our tenant find service is a great way to ensure you are putting the best possible tenants in the property. We advertise the property on all portals, conduct viewings if required and conduct full referencing checks. 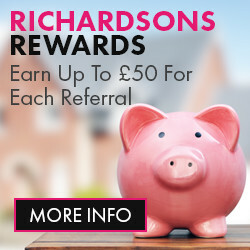 Peter Richardson Estates have a proven track record of letting properties very quickly, each house will vary but on average a tenant is found for a property in as little as one working week. 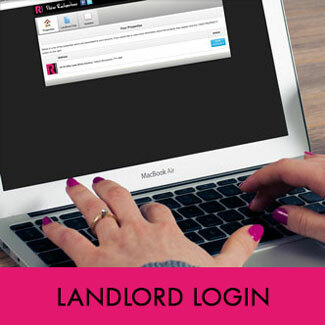 There is a large database of tenants waiting for houses with us, so you can be assured you’ve come to the right place. What benefits will I get if Peter Richardsons manage my property? Rental properties can take a lot of looking after especially with all of the recent legislation changes, it is important that all documentation is filled out correctly to avoid potential penalties. We are constantly kept up to date with current legislation meaning you are in safe hands.